A very frightened Rita Herman trying to get away from everyone while at the adoption kennel. Special needs greyhounds are not really different from special needs humans. Like their human counterparts, these dogs have emotional or physical disabilities which distinguish them from “healthy, normal” dogs. In the course of my work with WAG, a greyhound adoption group, I have adopted three “special needs” greyhounds. While two of our special dogs have had fairly serious medical problems, these we left to our vet. It was the emotional baggage which came with each which we learned to treat. What did our treatment involve? First and foremost: careful and savvy attention. Notice, I did not say “extra” attention; extra or a lot of attention is not invariably what special dogs require. Indeed, too much attention can sometimes encourage bad behaviors in a dog. For example, owners who make a fuss saying “good-bye” to a dog with separation anxiety are actually exacerbating the problem. So what is careful and savvy attention? The owner must be able to accurately interpret the dog’s behavior and respond positively and appropriately to help the dog cope. Dogs are always watching us. Watching is how animals survive in the wild; our pets have not lost that instinct. If we are to manage and care for them, we must learn to watch them at least as carefully as they do us. This watching has taught my husband and me a number of tactics which work with dogs who have emotional difficulties. I present three of these rules of thumb here. The first rule of thumb: Leave ‘em alone. Jake, our easiest special dog, required privacy during his adjustment period. Jake was an elderly dog with health problems — an auto-immune disease for which he took prednisone and, shortly before he died, some scary cancer drugs which we were not allowed to handle without gloves. However, it was not Jake’s physical problems that were the challenge. Coming to us at the age of ten Jake was seriously homesick. Attentive to his behavior, I came to recognize the depth of his feelings of alienation. On his first night, he nearly broke our hearts. He pulled us across the front yard and down the street determinedly. Where was he going? At first, I was puzzled; then, I realized he was trying to go home. He did not dislike us; we were simply not his family. He needed time to forget his old life and learn the ropes at our house, so we left him to a favorite corner in the kitchen where his rear was protected— a throwback to the wild where protection from behind meant survival. At first, he left his corner only to eat and go outside. After a few weeks, we noticed that he’d come behind the others (we have five greyhounds) to greet us when we returned home. Eventually, he integrated into the pack and became one of he gang. At his age, he never engaged in hard play or tag with the others, but he found his place among them, and they, like we, mourned his passing fourteen months after he came to us. We learned this by careful observation. 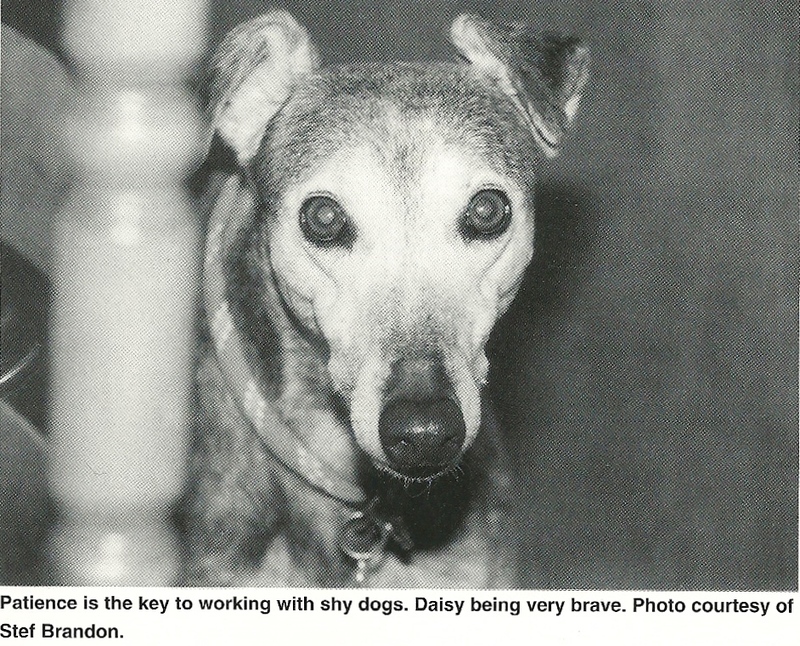 Daisy, a “returned” dog, was extremely shy. At four, Daisy had been in a home for a year and back in the adoption kennel for another year when we took her. The day we picked her up I had to drag her out from the back of her crate. Once in our house, she stayed by my side for days. Of course, having learned the “leave ‘em alone” rule from Jake, we knew to give her space. She found Jake’s corner in the kitchen and pretty much stayed there. After a few weeks, sitting on the floor a short distance from her — with shy dogs, it’s important to be at their level not looming over them — I’d offer a biscuit. I watched the signs: ears back, eyes darting away, pushing herself further into the corner, and I backed off. If, on the other hand, her ears stayed up and she met my gaze, I dropped the biscuit near me. If she came for it, I petted her only so long as I sensed she was comfortable with my touch. This practice I repeated whenever I saw the opening and had the time. Once she trusted me a little, I encouraged her confidence by seizing any opportunity when she seemed secure near me to give her affection. Daisy’s Big Breakthrough was hgeartwarming. One evening, she came to me in the family room. Knowing she did not need to go out, or eat, or drink, I realized she had come for love. Triumph! I have since reinforced her self-confidence by establishing routine times and places for love. As she stops for me to remove her muzzle when she comes in from the yard, I love her up. (My dogs always wear muzzles outdoors.) When I use the downstairs bathroom — her favorite haunt — I love her up. Now, I joke that she is just like a “regular” dog. Now she does not scatter when strangers come to the house; sometimes she even allows them to pet her. By watching carefully, one can know when and how to give affection to a timid dog, and regular affection can do much to build a shy dog’s self-confidence and security. Careful observation of our youngest special dog, Little-one, has taught us a third rule of thumb for needy dogs: discipline tempered by love can tame a brute. Unlike Daisy and Jake, Little-one’s problem is not shyness or sadness; Little-one is wild. Because she has only three feet, Little-one never even attended racing school. As a result, when we got her at fourteen months, she had had no training at all. It was not her missing foot, the physical disability, which confounded us; it was her unruly, willful and occasionally aggressive behavior. How have we tamed her? By establishing ourselves as Alpha with some basic training. All the usual basic training rules apply. 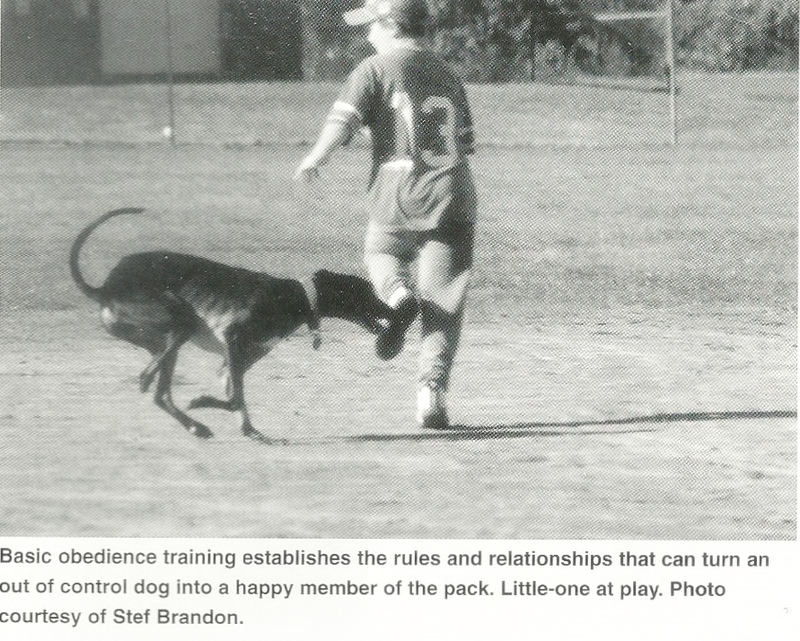 Remove the dog from the distraction of the other dogs; keep sessions short; train daily or, if possible, twice daily; suspend training rather than getting into a physical match with the dog; be consistent about rewards to reinforce behaviors. Little-one has learned to sit, as well as a number of other behaviors, quite well, so I always make her sit for treats. Once some training has taken hold, it must be reinforced with daily repetition. Requiring a willful dog to perform regularly reminds the dog who’s boss. And there is a corollary to the good training rule: be careful not to inadvertently teach bad lessons. We don’t play tug of war with Little-one. Such play is useful in pups to teach them to hunt or protect themselves; such play is fun for us with our other dogs; such play is not good for Little-one. She needs no lessons in feistiness. While Little-one is quite unlike Daisy or Jake temperamentally, she shares their special dogs’ need for special affection. Sometimes “bad” dogs like Little-one misbehave because they are insecure. I’m not sure what prompts bouts of insecurity in Little-one, but we keep our eyes and ears open for the telltale signs. When sibling rivalry escalates with increased snarling and snapping, she is invariably the scrappy one in our brood. If we give Little-one some additional affection for a few days, things quickly settle down. Special dogs are really not special at all once you know them. In fact, I often forget Little-one is missing a rear foot, and I’m brought up short when I suddenly notice the hippity hop of her rear end as she zooms along ahead of the others. I am frequently surprised when some routine activity startles Daisy into another room while the others sleep on. It’s just the same with dogs as with people. Once you get to know them well, their prominent idiosyncracies disappear, and they merely become “people” (or dogs) you know — and love. I really like this article a lot. 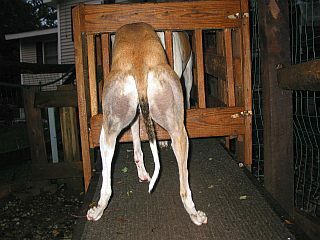 I have had many special needs dogs over the years – I currently have two deaf, one blind, and one ADHD Whippets, as well as three fairly “normal” Whippets. I have noticed the older more disciplined dogs will work with the special needs dogs to help them, or make them toe the line. I have taught my ADHD Whippet to help get the blind Whippet in and out of the house, training him to go out and nudge the blind one in the right direction if he should begin to wander. The ADHD Whippet has naturally become the “toy monitor” going out and fetching any stray toys left outside and putting them in the inside toy box. He has become much happier now that he has specific jobs to do within the pack and household. The deaf dogs have learned to watch the hearing dogs to see if they are making a beeline for the house when called to go inside. I like that the pack works well together to make everyone happier. I think it is much easier to have two or more dogs than just one! Great info, having adopted 2 very shy or spooky dogs and one very strong and willful dog I can attest to the validity of these methods.